Having examined Schottroff’s interpretive concerns in yesterday’s post, we now turn to her reinterpretation of the Parable of the Vinegrowers in The Parables of Jesus (Trans. Linda M. Maloney. Minneapolis: Fortress Press, 2006. ), in which she critiques a traditional allegorical interpretation of the parable, and reconsiders its meaning for today’s context. The crux of her reinterpretation argues that this parable speaks not to the allegorical rejection of the people of Israel, but rather cries out against the multilayered forms of Roman violence suffered by Israel. Schottroff’s whole interpretation rests upon her understanding of the original audience’s reaction to the invocation of Isaiah 5:2. 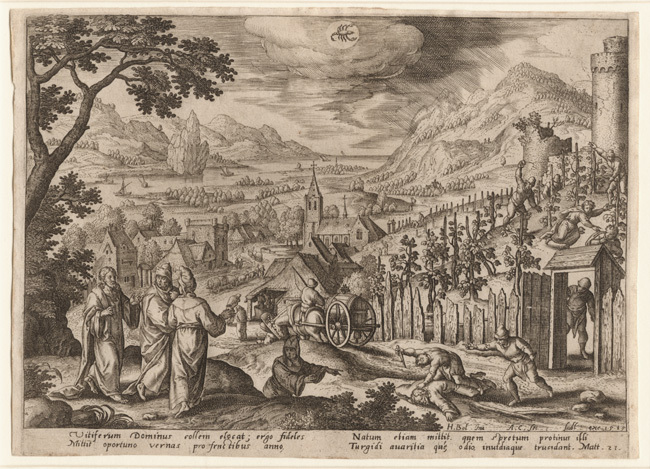 If Schottroff is correct and the imagery of the first verse of this parable would have contextually indicated that the vineyard represented the people of Israel as occupied and oppressed by Rome, then her reinterpretation of this parable merits strong consideration as a viable understanding of this parable. A basic reading of Isaiah 5 indicates several things of note. First, the imagery of the vineyard comes in the midst of a long section concerning YHWH’s preservation of a remnant and his destruction of the wicked (Chapters 4-6). Second, the vineyard, as described in verse two, is said to be destroyed in verses five and six. And third, that the vineyard explicitly becomes called the “House of Israel and Men of Judah” in verse seven. Thus, one must consider how the vineyard, which was said to have been destroyed, would be understood in light of how the audience understood the ‘remnant’ that was to survive the destruction of the vineyard. On the one hand, if the audience understood the parable apart from a ‘remnant theology ‘as indicating the essential destruction of the vineyard, though with the vineyard continuing in some sense, this parable could be understood as Jesus suggesting (or prophesying?) that what Isaiah has prophesied concerning the Destruction of Jerusalem and Solomon’s Temple in 586 BCE would be recapitulated in their context (or perhaps even as commentary on why the destruction of Jerusalem occurred in the 6th century BCE). On the other hand, if the audience considered themselves an active part of the remnant that remained beyond YHWH’s possible revisiting punishment upon His people, then Schottroff’s interpretation of the parable as indicating the people of Israel in a dominated sense would seem to fit. Which understanding of Israel seems to better fit a contextual understanding of the parable’s original audience? Certainly a fully developed answer to such a question necessitates far more socio-historical research that we cannot produce here. However, while Schottroff’s perspective might better fit a general self-understanding of the Jewish people, Jesus’ invoking Isaiah’s prophecy against his context would likely have been more impactful and historically noteworthy. On the topic of noteworthiness, one of Schottroff’s more narrow considerations is her apparent avoidance of wider implications for her hermeneutical framework and parable reinterpretations. In rejecting an apocalyptic eschatological framework for interpreting the parables of Jesus (2), Schottroff seemingly undermines one of the bases’ for historical Jesus scholarship from Schweitzer onward, namely, Jesus’ apocalyptic perspective. Additionally, if a parable remains part of the general category of Torah teaching that one would expect to find in Second Temple Judaism (13), how does one critically review Gospel narratives and other materials from a historical perspective? Does such a view implicitly argue that little of Jesus’ teachings (as found in the Gospels) contains material that would be considered unique in the first century Jewish context? If not, what are the far-ranging implications of revisiting parables on subjects such as Gospel criticism, historical theories concerning the reasons for Jesus’ death, and the development of the Jesus Movement into the largest religious affiliation in the world? One cannot expect Schottroff to consider all such possibilities in her work, but her seeming evasion of such considerations seems intriguing. 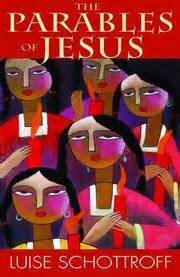 As a feminist scholar Schottroff methodologically approaches the biblical text with high regard for its content, though with a high degree of suspicion towards it traditional interpretation. Vital in her reinterpretation of the Parable of Vinegrowers is the contextual marker at the beginning of the parable that she argues would have indicated to the audience that the vineyard itself represented the people of Israel as spoken of in Isaiah 5. In considering the parable as a whole, Schottroff argues that it speaks to multiple experiences of violence, including those enacted upon Israel and against the perpetuation of such violence and injustice. The tradition allegorical interpretation does not answer Schottroff’s objections concerning Torah, representation of God, and contextual understandings of the original audience, factors that she argues are important for application of this parable to today’s context as well. Schottroff’s perspective, however, is not without its own set of problems and questions, the most important of which is her understanding of the original audiences contextual understanding of Israel as found in Isaiah 5. Thus, while Schottroff’s reinterpretation of the Parable of Vinegrowers in Mark 12 has much merit and raises excellent consideration of context, critical examination of allegory and anti-Jewish interpretations, and Jesus’ teaching against violence and oppression, the wider questions concerning the treatment and interpretation of a contextual understanding of Isaiah 5 in First Century Jewish thought make her overall interpretation of the parable unsatisfying at this juncture. With a more fully developed argument concerning the interpretation for Isaiah, as well as a critical consciousness concerning the wide-ranging effects of her work regarding New Testament Studies, Schottroff’s perspective on the Parable of Vinegrowers would provide scholars and readers alike a viable interpretation, worthy of challenging the wide-ranging method of allegorical parable interpretation.